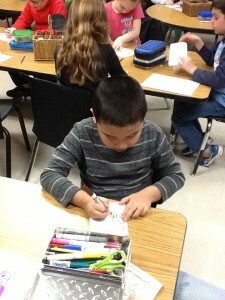 Hopefully your child has already told you that our class will be doing Kindness Acts throughout the month of December. I feel that it is so important for the children to know the importance of giving and how it makes us feel to do kind things for others. 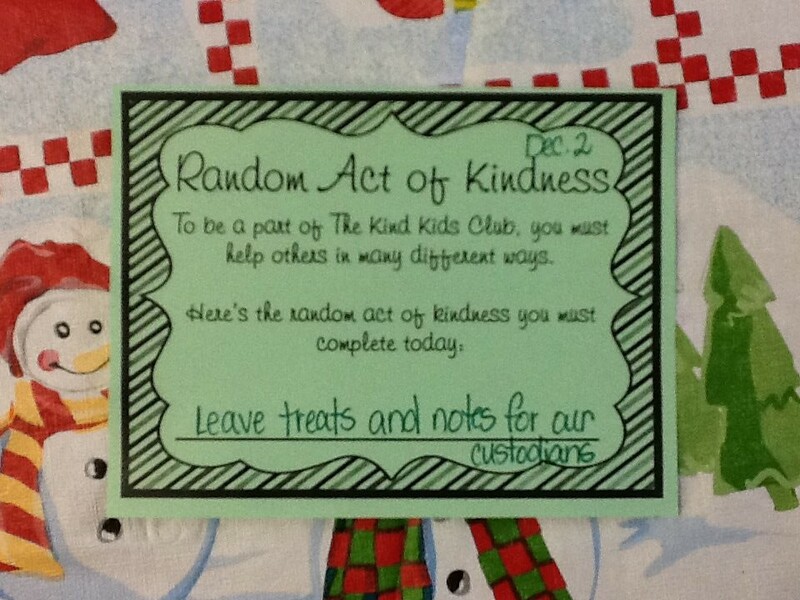 On December 1 our RAK (Random Act of Kindness) was to tidy the bootracks in the school. 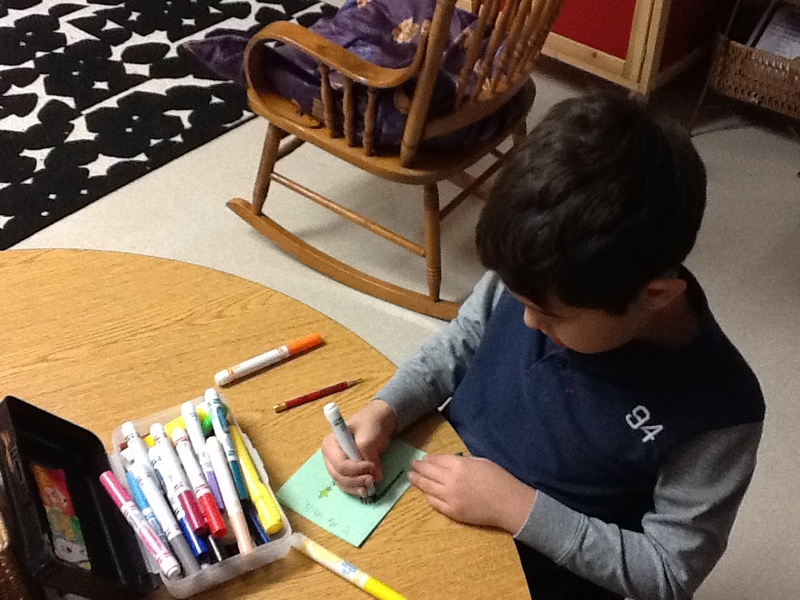 December 2 our RAK was to make cards and leave a treat for our caretaking staff. To help our class get into the spirit of the Holiday season we are doing acts of kindness within our school and out into our community. 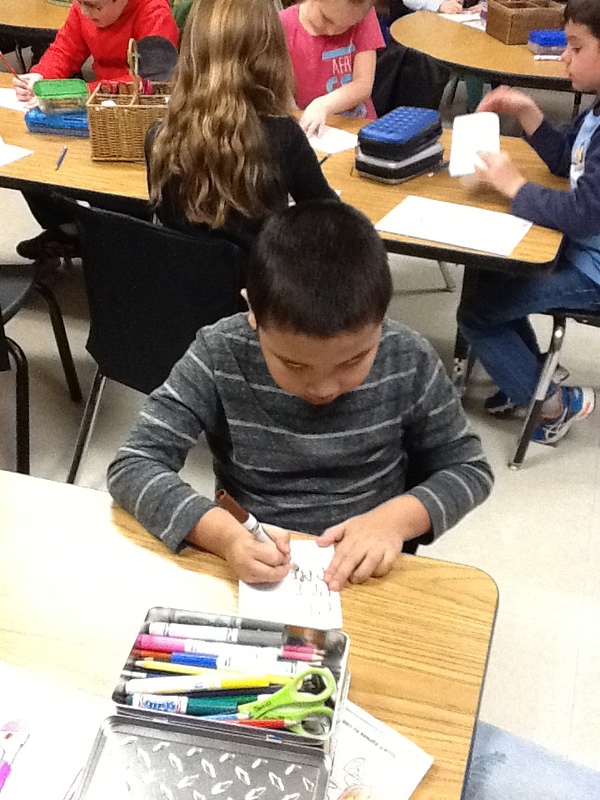 Each day in December we will have a new act of Kindness to complete. Today to start off, we secretly and quietly tidied up all the boot racks in the grade 2/3 end of the school. 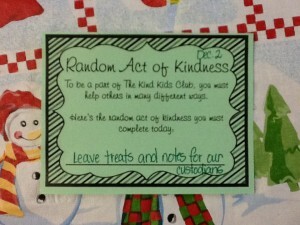 Please ask your child each day what our “Random Act of Kindness” was…..we are excited to share in the spirit of giving this Holiday season! 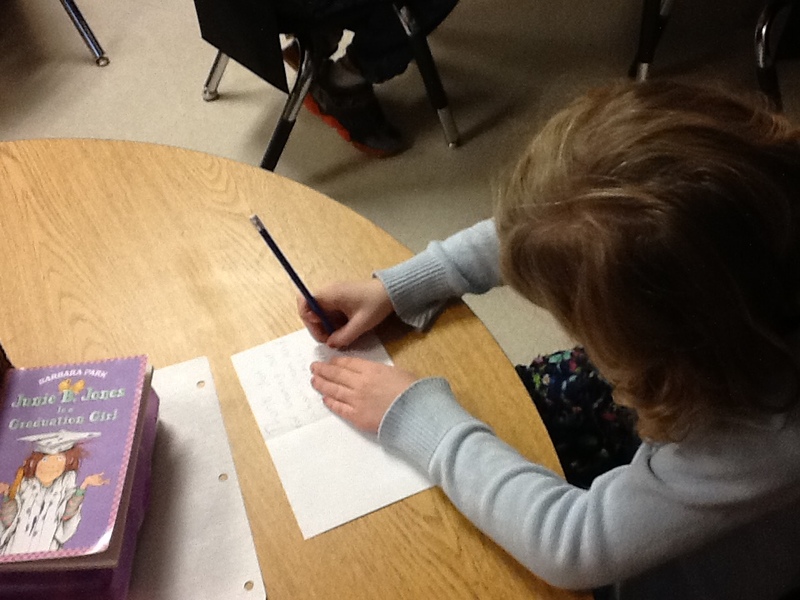 I will try to remember to take pictures so that I can share them with you. I will also post each activity outside of our classroom door each day. Yesterday the nurses held an assembly for us to teach us about Winter Safety. They invited Deputy Fire Chief Mr. Austin to come and talk to us about water and ice safety, keeping our head safe by wearing a helmet when we do winter sports, snow fort building safety and dressing appropriately for the weather. The nurses then led us in a quick body break before they demonstrated correct and incorrect winter dressing in a fun game that had 2 of the nurses getting ready to go outside. Tomorrow is the student nurses last day at our school. They have organized a lot of fun activities and events for us and we wish them all the best in their career!